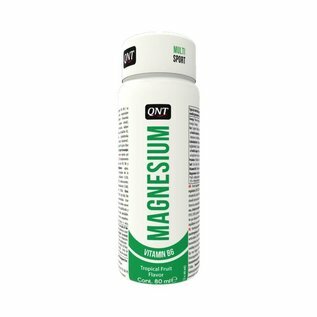 Magnesium is a very beneficial mineral to the human health and among the many benefits it contributes to a reduction of tiredness and fatigue, it contributes to electrolyte balance and to normal energy-yielding metabolism. 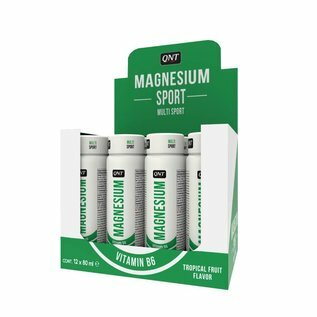 It is also a very important nutrient in the diet of all active people (in particular for athletes) because it contributes to normal muscle function, it contributes to normal protein synthesis and also to the maintenance of normal bones and to the normal functioning of the nervous system. 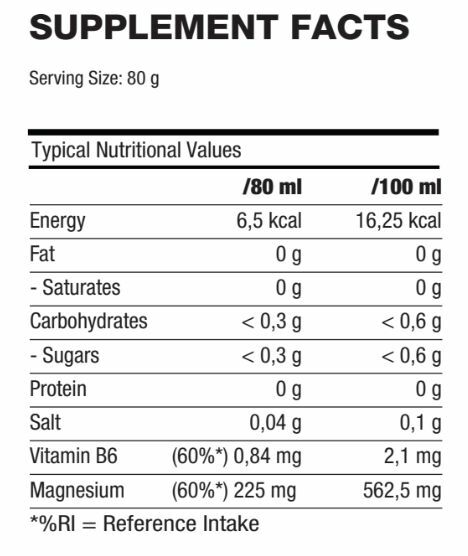 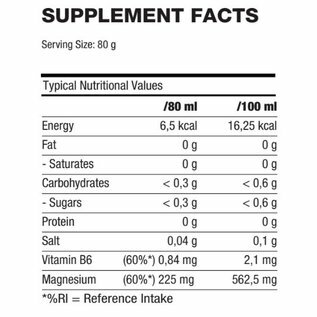 The formula of MAGNESIUM SHOT has been enriched with Vitamin B6, a key vitamin that among other benefits contributes to normal protein and glycogen metabolism, to the normal function of the immune system and to the regulation of hormonal activity. water, magnesium citrate, acidity regulators: E331, E332, acidier: E330, preservatives: E211, E202, sweeteners: E955, E950, aroma, antioxidant: E300, vitamin B6, color: E160a.